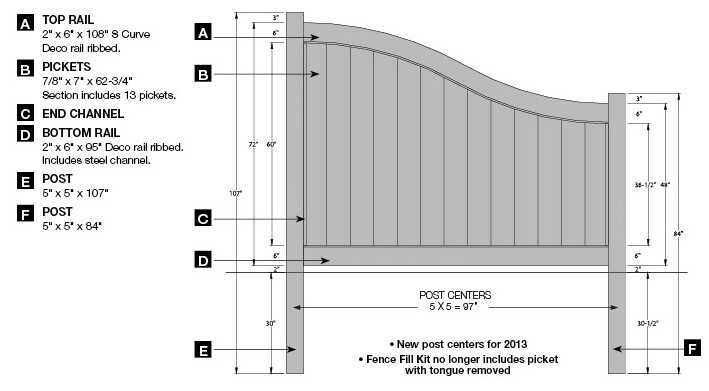 Chesterfield S Curve Vinyl Fence by Bufftech | Discount Fence Supply, Inc.
Transitions flawlessly between 4ft and 6ft Chesterfield sections. 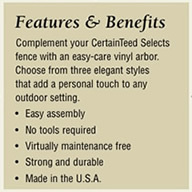 Bufftech Chesterfield privacy fence is backed by outstanding lifetime limited warranty coverage, including our exclusive SureStart™ protection. SureStart covers warrantied repair and replacement costs - including labor - for a period of five years after installation. Bufftech (Certainteed) privacy vinyl fence is designed with attractive appearance on bothe sides of the fence. Allowing your neighbors to enjoy your new fence, just as much as you do. 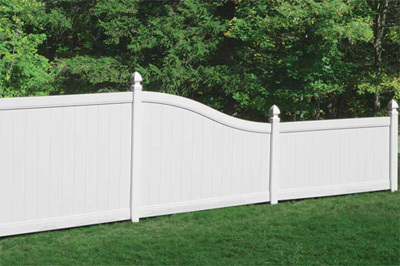 Privacy fence from Bufftech allows you to enjoy the benefits of a good neighbor fence; both sides look the same. Forget painting or staining. You'll enjoy this investment for years to come.